Welcome Piemonte » Guided Tours – Everyday upon reservation! Guided Tours – Everyday upon reservation! An exciting tour discovering the most hidden beauties of this town. 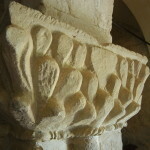 Tour Stops: the Crypt of the church of Saint Secondo with the relics of the Patron, the Crypt of Saint Anastasio, a masterpiece of the Romanesque architecture, the Roman Domus with the mosaic, and the historical cellars of Palazzo Mazzetti, symbol of the urban development during the centuries. 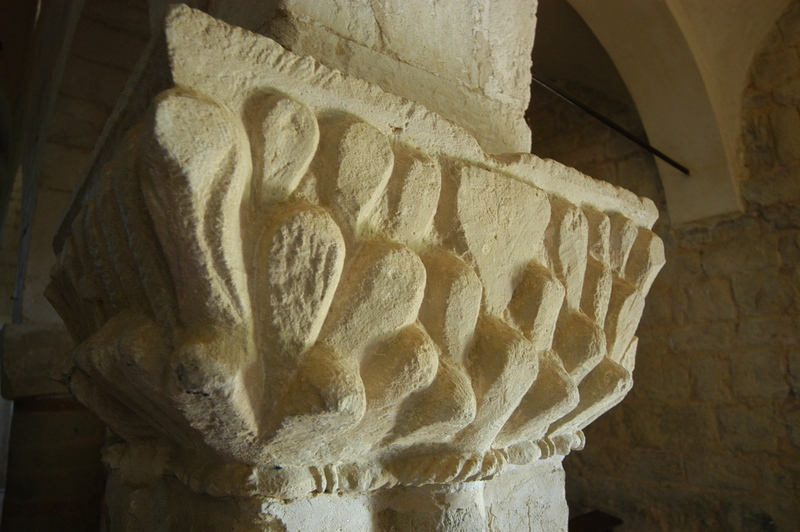 As an alternative for one of these sites, the ancient Crypt of Saint John. Prices. For 2 people/1 family: 69,00 euro in total. For 4/7 people: 19,00 euro per person. For groups (at least 8 people): 120,00 euro in total. The quote includes: 2 hours and half guided tour. In addition, ticket of Museums included in the tour. Free entrance for the “Museums Card” owners. A tour of the small Romanesque churches, hidden among Monferrato Hills, but rich in symbolic mysterious sculptures and put in a breathtaking panorama. The route involves three sites: the church of Saint Secondo in Cortazzone, the church of Santi Nazario and Celso in Montechiaro d’ Asti and the church of Saint Lorenzo in Montiglio. Prices. For 2 people/1 family: 79,00 euro in total. For 4 people: 29,00 euro per person. For 6 people: 19,00 euro per person. For groups (at least 8 people): 140,00 euro in total. The quote includes: 3 hours and half guided tour. No entry fee. A panoramic tour of Langhe Hills, UNESCO Heritage, discovering charming castles and the famous Barolo, “the King of Wines and the Wine of Kings”. Tour of the Castle of Grinzane Cavour, perfectly preserved from the Middle Ages, or the Castle of Barolo, the seat of the Wine Museum. To finish in beauty, a walk in the village of La Morra, rich in history and panoramic views, or entry into a wine company with taste of Barolo and some other wines. Prices. For 2 people/1 family: 79,00 euro in total. For 4 people: 29,00 euro per person. For 6 people: 19,00 euro per person. For groups (at least 8 people): 140,00 euro in total. The quote includes: half day guided tour. The quote does not include: castle ticket and wine tasting. This itinerary takes places in Santo Stefano Belbo village, where this famous writer was born and set his last novel “The Moon and the Bonfires”. Visit to the Cesare Paves Foundation, with the Museum dedicated to the writer and the church of Saints James and Christopher; after, stop at Pavese Birth House and finally at Pinolo Scaglione’ s Workshop, nicknamed as “Nuto” in the novel, who was a carpenter, a musician and the writer’s best friend. Prices. For 2 people/1 family: 79,00 euro in total. For 4 people: 29,00 euro per person. For 6 people: 19,00 euro per person. For groups (at least 8 people): 120,00 euro in total. The quote includes: 2 hours and half guided tour. In addition, tickets for Museums included in the tour: 8,00 euro per person. Symbols and legends, between Sacred and Profane, animate buildings and squares of Turin, a city full of charm and suggestion. A walk discovering images and curiosities, hidden in history and beauty of the old town. From the church of Saint Laurence, the first seat of the Holy Shroud, to the famous Caffè Torino, up to the church of Saint Cristina and Solferino Square. A special occasion to read the city in a new way.. going beyond appearances. Be a Paleontologist for a day! A guided walk in the Special Natural Reserve of ValleAndona, Valle Botto e Val Grande, discovering the wood and the fossil outcrops, with hundreds of shells dated back to 5 million of years ago. For children, a funny simulated excavation in the role of true paleontologists! Next stop at the Fossils Museum of Asti, among thin whales, shark teeth, and many other treasures from the past. Prices. For 2 people/1 family: 69,00 euro in total. For 4 people: 29,00 euro per person. For 6 people: 19,00 euro per person. For groups (at least 8 people): 140,00 euro in total. The quote includes: 2 hours and half guided tour. In addition, admission ticket for the Fossils Museum: 3,00 euro er person. A guided tour on the hills of Castellero, the City of Hazelnut Piemonte IGP, to discover the secrets of this valued fruit. During the walk among woods and hazelnut trees, the complete production cycle of hazelnut will be explained, from the young plant to the finished product. At the end, entry into to a small company which produces many hazelnuts specialties, both sweet and savory. Prices. For 2 people/1 family: 69,00 euro in total. For 4 people: 29,00 euro per person. For 6 people: 19,00 euro per person. For groups (at least 8 people): 140,00 euro in total. The quote includes: 3 hours guided tour. On request, upon reservation, hazelnuts products tasting: 8,00 euro per person. Or lunch/dinner with traditional dishes matched with Piedmont Hazelnut: 30,00 euro per person.